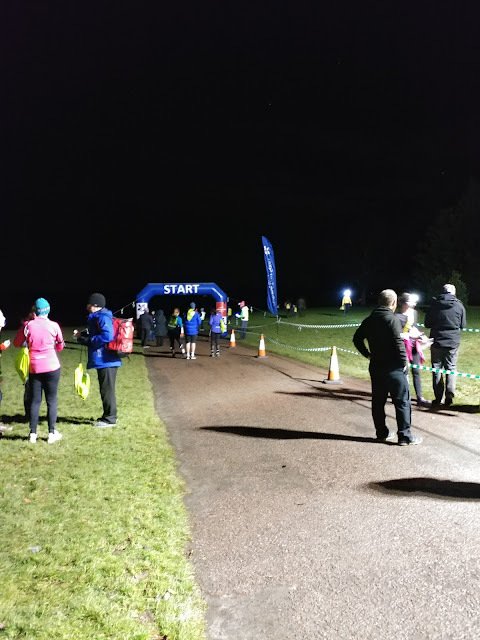 One of my very first races two years ago was the Night Run at Nostell Priory. The night run series is hosted by National Trust and there are races up and down the country. I regularly check the National trust page for things to do, and so when I saw the race near me I had to sign up. The night races are great fun. 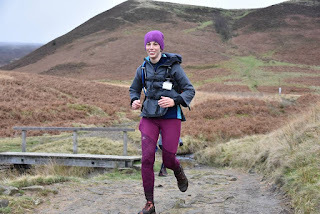 I remember that first race like it was yesterday, running through the mud in pitch black dark, laughing most of the way round and feeling so proud to have run the 8km route. The medal was glow in the dark and J was even given one too. I was incredibly excited for this years run. As with the previous year J was allowed to run with me. He gets incredibly excited whenever I put on my running shoes and I love running with him, so any race I can take him with me I do. After arriving at Nostell and collecting our race number it was then a waiting game for the race to start. The race starts at sunset and as it began to set we made our way to the start line. J got incredibly confused during the race warm up as we walked forwards and backwards, in a 'are we going yet?' 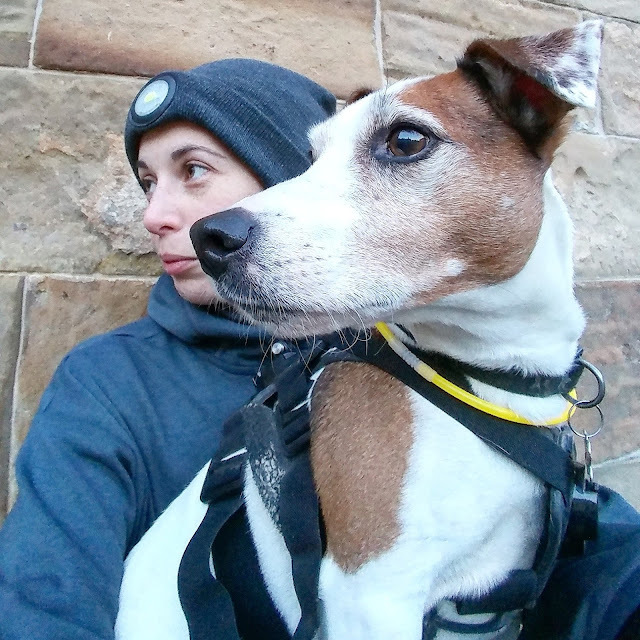 kind of way, before we knew it we were off in the dark round Nostell. The course was different from the first year and in some ways much better. The first time we got incredibly lost in some woods in the dark, but this year the course was much better sign posted and more volunteers so no one got lost. We were greeted at the end of the race by our parkrun family and awarded our glow in the dark medal. I cannot wait for the next night run!